It’s getting harder to know where tweeting ends and where news begins, or even that there is a difference. As politicians take to tweeting to let their views be known and journalists continue to break news on the social news site, the function of traditional media is constantly under threat. One of the value propositions put forward by news organisations is their ability to confirm, with authority, that which social media can’t. LIBERAL MP Kelly O’Dwyer has suggested Australian-born citizens should get priority to become parliamentarians – apparently forgetting her own leader was born overseas. The story was based on a tweet by O’Dwyer, in response to the outrage over Gina Rinehart receiving Government approval to use 1700 foreign workers for a mining project in WA. The tweet is really open to a number of interpretations, and some quite the opposite of others. It seems odd then that a rather large assumption was made about its meaning and run with, without seeking any confirmation from O’Dwyer as to what she actually meant. The AAP copy was picked up, largely unchanged, and ran across Fairfax and News Limited sites without any further question. Later, O’Dwyer responded to a tweet by Matthew Lesh (@matthewlesh) which said that “@KellyODwyer‘s misunderstood point: Cameron is hypocritical when speaking against overseas born workers in Oz, as he is one himself. #auspol,” with “Finally someone understands the irony.#auspol”. Politics aside, the irony is that the tweet’s meaning was clarified on Twitter, but not until news organizations had spread a rather inaccurate version of it, based on nothing but speculation. It’s not the first time, and it won’t be the last, that twitter has led the political news cycle. Government whip Joel Fitzgibbon took to twitter to quell media rumours of him canvassing votes for Rudd. 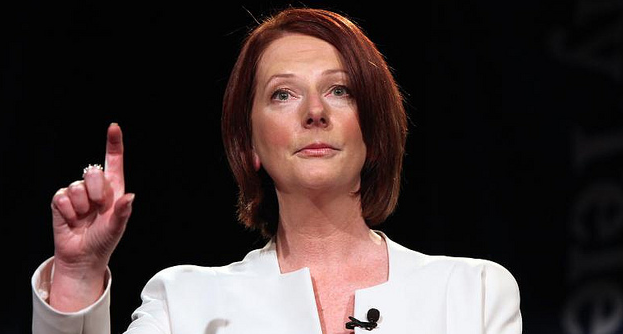 Prime Minister Julia Gillard was apparently satisfied with words of support from Fitzgibbon on Twitter. And with that the PM very nicely summarised the problem facing the media.